The Flexible Framework is an organizational tool that enables schools and districts—in collaboration with families, local community organizations, and outside providers—to maintain a whole school focus as they create trauma sensitive schools. The Framework is organized according to six core operational functions of schools, each of which is critical to any effort that seeks to make school-wide changes. We first introduced the Framework in Helping Traumatized Children Learn, Volume 1. In Chapter 2 of that publication, each element of the Framework lists a menu of possible activities schools can undertake to become more trauma sensitive. Our work with educators and other professionals since 2005 has helped the Framework to evolve. 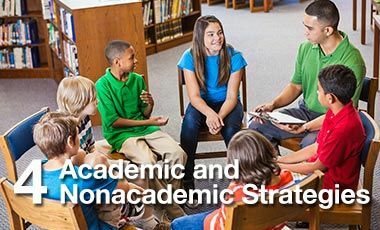 As reflected below, we have now joined Academic and Nonacademic Strategies together as a single element and added Collaboration with Families as a new sixth element. The process for becoming a trauma sensitive school outlined in Helping Traumatized Children Learn, Volume 2 encourages schools to use the Framework as a tool to help develop their Action Plans. Each of these six elements of a school’s infrastructure can play a critical role in either supporting or inhibiting their efforts to become trauma sensitive. That’s why we recommend educators carefully consider the role of each element as they create their action plans. 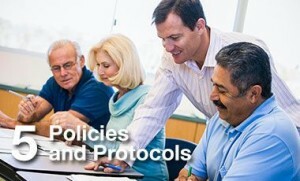 The Framework is also a tool for policymakers to use as they design laws and policies that affect schools. 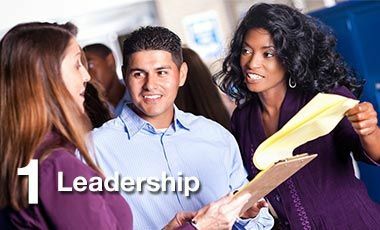 In Massachusetts, TLPI advocates to ensure that statewide education laws and policies are organized according to the Framework. Organizing school climate and student support initiatives by these six core operational functions allows educators to align new initiatives, find efficiencies, and ensure all efforts in the school reinforce each other. Here are some examples of laws and policies that our state has organized according to the Framework. School leaders must play a key role in any effort to make addressing trauma’s impact on learning part of the core educational mission of the school. School and district administrators create an infrastructure and culture that promotes trauma sensitivity. Building leaders engage their staff in strategic planning and encourage the integration of trauma sensitive approaches into existing school operations. Watch a video on the Role of District Leadership in Creating Trauma-Sensitive Schools. 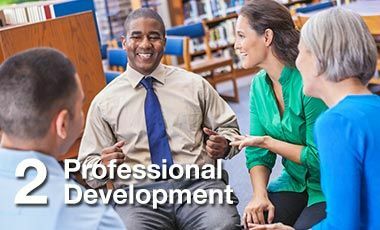 Professional development is critical for all school staff, including leaders. Educators should be provided the opportunity to build skills that enhance their capacity to create trauma sensitive learning environments. A few examples of important areas for professional development include: understanding the prevalence and impact of trauma; techniques for strengthening relationships between children and adults; and alternatives to punitive disciplinary practices. Identifying and effectively coordinating with mental health and other services outside the school is critical. 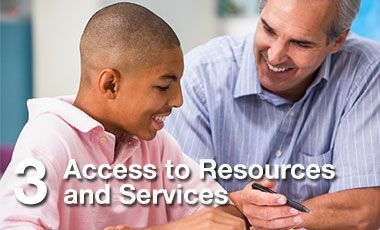 These resources should be used to help students participate fully in the school community. Equally important are resources that support staff and provide them with the opportunity to discuss students’ needs confidentially and to reflect on how their work is affecting their own lives. In the classroom, it is important for educators to discover students’ islands of competence, whether they are in academic or nonacademic areas. Clear, explicit communication and routines that provide predictability help ensure the classroom is a place where children feel physically and psychologically safe. All children should be viewed holistically—their relationships with adults and peers; their self regulation of emotion, attention and behavior; and their physical and psychological well being are all related to their academic learning. In order to ensure a whole school trauma sensitive environment, educators must review the policies and protocols that are responsible for the day to day activities and logistics of the school. Some examples of policies that schools often review as they become trauma sensitive include: discipline policies; communication procedures; and safety planning. Collaboration with families that actively engages them in all aspects of their children’s education helps them feel welcome at school and understand the important role they play. Good collaboration can be facilitated by providing professional development to educators that focuses on sensitivity to cultural, linguistic, and other aspects of family diversity; developing mechanisms to share information with families regularly; and making sure meetings and other events happen at times and places that are easy for families to attend.